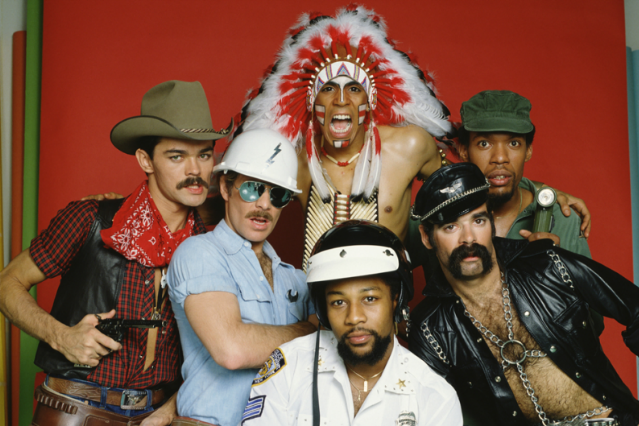 The original lead singer for the Village People, Victor Willis, has won a court case involving the rights to “Y.M.C.A.” and other songs, Billboard reports. For the music industry, the ramifications could be almost as far-reaching as the 1978 pop-disco smash itself. Almost. U.S. District Court Judge Barry Moskowitz in California granted Willis’ motion to dismiss the claims of two music publishing companies, Scorpio Music and Can’t Stop Production. The publishers had sued to block the former Village People frontman from reclaiming his share of 33 of the act’s songs, “Y.M.C.A.” among them. Their lawsuit followed Willis’ exercise a copyright-law measure known as “termination rights,” a 1978 legal change that allows songwriters to revoke copyright grants to labels and publishers after 35 years. The publishers contended that because Willis was not the sole author of the songs, he couldn’t withdraw his share of the copyright without the approval of every co-author. The federal judge in this case disagreed. “The Court concludes that a joint author who separately transfers his copyright interest may unilaterally terminate the grant,” Moskowitz ruled. As Billboard notes, the opinion leaves the door open to publishers in future cases who want to contend that songs were “works for hire.” In other words, the argument goes, the songwriters were effectively employees of the publisher or label, and therefore the company is legally a song’s “author.” The publishers dropped their claims that Willis’ songs were “works for hire,” so this question remains to be decided. Brian Caplan, the lawyer for Willis, told the Times the case is the first of its kind. “The significance of the ruling is that one author who gives a grant to a publishing company has the right to recapture the copyright interest he created 35 years ago regardless of what other co-authors do or don’t do, and that the author gets back that which he created regardless of the income stream he agreed to over 35 years ago,” he said. The fight over termination rights arrives amid a separate series of legal battles between artists and labels. Last year, in a case involving Eminem, a federal appeals court ruled that artists should get a bigger chunk of digital royalties. Similar lawsuits have since followed from Rob Zombie, Chuck D, and others.